Julian Assange is an Australian editor, activist, publisher and journalist. He is known as the editor-in-chief and founder of WikiLeaks, which publishes submissions of secret information, news leaks and classified media from anonymous news sources and whistleblowers. Assange was a hacker as a teenager, then a computer programmer before becoming known for his work with WikiLeaks and making public appearances around the world speaking about freedom of the press, censorship, and investigative journalism. Since 19 June 2012, he has been inside the Ecuadorian embassy in London, where he has since been granted diplomatic asylum. The British government intends to extradite Assange to Sweden under that arrest warrant once he leaves the embassy, which Assange says he fears may result in his subsequent extradition to the United States to face charges over the diplomatic cables case. While on bail in England during 2012, Assange hosted a political talk show The World Tomorrow which was broadcast on the RT TV channel. Assange has launched an Australian political party called The WikiLeaks Party and intends to campaign for a Senate seat in Victoria in the Australian federal election, 2013. Glenn Carle served twenty-three years in the Clandestine Services of the Central Intelligence Agency, working in a number of overseas posts on four continents and in Washington, DC. 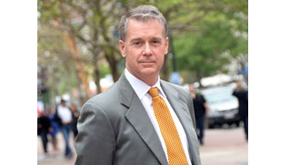 Mr. Carle has worked on terrorism issues at various times since the mid-1980s. He has worked extensively on Balkan, Central American, and European political, security, and economic issues. His last position was as Deputy National Intelligence Officer for Transnational Threats, on the National Intelligence Council, where his office was responsible for strategic analysis of terrorism, international organized crime, and narcotics issues.Mr. Carle holds a B.A. in Government from Harvard university, and a M.A. in European Studies and international Economics from the Johns Hopkins Universrity School of Advanced International Studies. He did additional graduate work in International Relations at the Institut d’études politiques de Paris, France, and studied at the Université de Grenoble, France. Mr. Carle speaks French and Spanish fluently. 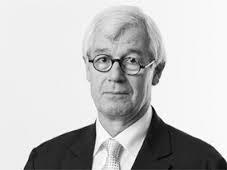 Julian Burnside AO is an Australian Barrister and an advocate for human rights and fair treatment of refugees. Mr Burnside acted for the Ok Tedi natives against BHP, for Alan Bond in fraud trials, for Rose Porteous in numerous actions against Gina Rinehart, and for the Maritime Union of Australia in the 1998 waterfront dispute against Patrick Stevedores. He was the Senior Counsel assisting the Australian Broadcasting Authority in the “Cash for Comment” inquiry and was senior counsel for Liberty Victoria in the Tampa litigation. His publications include On Privilege, Matilda and the Dragon and Wordwatching – Field Notes from an Amateur Philologist. He also compiled From Nothing to Zero, a collection of writings by asylum seekers in Australia’s detention centres. 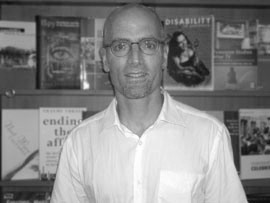 Mark Andrejevic is a media scholar who writes about surveillance, new media, and popular culture. In broad terms, he is interested in the ways in which forms of surveillance and monitoring enabled by the development of new media technologies impact the realms of economics, politics, and culture. His first book, Reality TV: The Work of Being Watched (2003), explores the way in which this popular programming genre equates participation with willing submission to comprehensive monitoring. His second book, iSpy: Surveillance and Power in the Interactive Era (2007), considers the role of surveillance in the era of networked digital technology and explores the consequences for politics, policing, popular culture, and commerce. Sebastian Kaempf is Lecturer in Peace and Conflict Studies at the School of Political Science and International Studies at the University of Queensland (Australia). He received his PhD (‘Wresting under Conditions of Asymmetry: Contemporary US Warfare and the Trade-off between Casualty-Aversion and Civilian Protection’) at the Department of International Politics at Aberystwyth University (UK) in 2007. He was a Research Associate of the US Studies Centre at The University of Sydney (2011) and a Visiting Fellow at the Watson Institute for International Studies at Brown University (2004/05). He holds a BSc and MSc (Econ) in International Relations from the London School of Economics and Political Science (LSE). In 2012, he won awards for teaching excellence from the University of Queensland and the Faculty of Social and Behavioural Sciences. 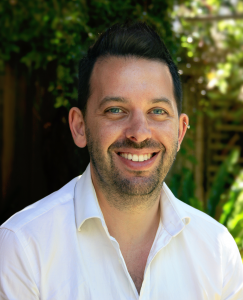 Antony Loewenstein is a Sydney-based independent freelance journalist, author, documentarian, photographer and blogger. He has written for the Sydney Morning Herald, The Australian, The Guardian, Juan Cole, Mondoweiss, Washington Post, New Statesman, Huffington Post. Antony contributed a major chapter to 2004′s Australian best-seller, Not Happy, John! on the Middle East.His best-selling book on the Israel/Palestine conflict, My Israel Question, was released by Melbourne University Publishing in 2006. A new, updated edition was released in 2007 (and reprinted again in 2008). The book was short-listed for the 2007 New South Wales Premier’s Literary Award. Another fully updated, third edition was published in 2009. It was released in all e-book formats in 2011. An updated and translated edition was published in Arabic in 2012 and soon in Indonesia. 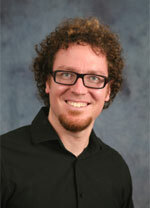 Dr Lincoln Dahlberg teaches and researches in the areas of media politics, public sphere theory, and digital democracy. He has published extensively in these areas, including co-editing Radical Democracy and the Internet (Palgrave, 2007) and Discourse Theory and Critical Media Politics (Palgrave, 2011). He is currently working on two projects: first, an interrogation of discourses of digital democracy, particularly deploying critical political economy; and second, a radicalization of the Habermasian public sphere conception, particularly by way of post-Marxist discourse theory.